Hailey Baldwin: Stop Saying I’m Married to Justin Bieber! Welcome to the great marital debate of 2018. 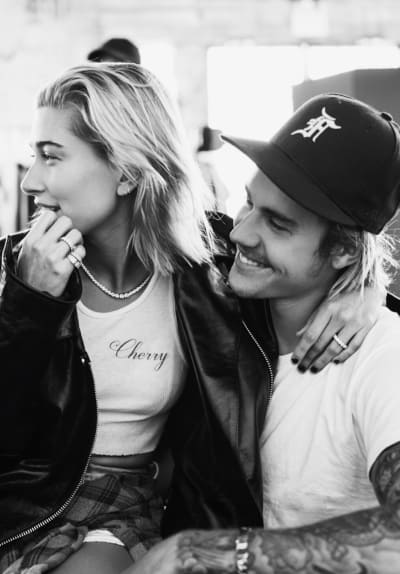 Earlier on Friday, multiple sources reported that Hailey Baldwin and Justin Bieber has entered a New York City courthouse… obtained a marriage license… and exchanged vows. That’s to say: Baldwin and Bieber are married!!!!!!! How exciting and unexpected, right? Yes, if these reports are accurate. But a pretty reliable source who is very close to the situation is telling everyone to please slow his or her roll. Because no marriage has actually taken place. “I understand where the speculation is coming from, but I’m not married yet!” the 21-year-old model Tweeted Friday evening. But here’s the the thing; this message has since been deleted. And here’s the other thing: People Magazine is sticking by its claim that Bieber and Baldwin are husband and wife. According to this publication’s sources, Bieber and Baldwin exchanged vows this afternoon and signed their marriage license. They are absolutely, 100%, legally wed. HOWEVER, Hailey “feels a civil ceremony and their ‘real’ wedding are two separate things,” one source explains, adding that the stars will hold a much bigger gathering somewhere down the line. TMZ, meanwhile, first broke the news of Justin and Hailey entering a courthouse in New York. But this celebrity gossip website says no ceremony of any kind took place, but we can expect one to be held some time next week. Oh, and in case you were wondering why Baldwin and Bieber moved up their alleged plans to get married in 2019… it’s NOT because she’s pregnant, TMZ writes. No one is really certain what’s going on. But we do know that Bieber and Baldwin got engaged in early July. The pair has stayed close after just having what appeared to be a fling a couple years ago; and then reunited romantically this summer after Justin committed himself to his faith. ou are the love of my life Hailey Baldwin and I wouldn’t want to spend it with anybody else. You make me so much better and we compliment eachother so well!! Can’t wait for the best season of life yet!. It’s funny because now with you everything seems to make sense! The thing I am most excited for is that my little brother and sister get to see another healthy stable marriage and look for the same!!! That was just two months ago, but Baldwin has made no secret in the past that she sees no reason to have a long engagement. When you know, you know… you know? “My sister was 24 when she got married, and my parents also got married when they were young, too. I see no reason to wait. When you know it’s right, it’s right.” she told The Cut. Blac Chyna Baby Daddy Drama: Kris Jenner Demands Paternity Test! Next story 90 Day Fiance: Will Anfisa Return to Cam Girl Work With Jorge in Prison?